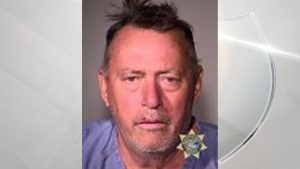 PORTLAND, Ore. – A Canadian man was found sailing off the Oregon Coast with 28 jugs of liquid methamphetamine. According to the U.S. Department of Justice, a U.S. Coast Guard cutter happened upon a sailing vessel traveling north 225 miles from Newport on April 9, 2019. Coast Guard personnel tried to talk to the only person aboard the boat, later identified as 65-year-old Canadian citizen John Phillip Stirling. However, he retreated below deck and would only respond via radio. Once the USCG determined the vessel was registered in the United States, they boarded it. Stirling didn’t have any documentation to provide and refused to identify himself. Eventually, he started showing physical signs of a drug overdose. That’s when he was evacuated via helicopter and taken to a hospital. A search of the sailing vessel revealed 28 seven-gallon jugs of liquid methamphetamine. After he recovered from the apparent overdose, Stirling was arrested. He appeared in a federal court on April 11 to face charges related to the case, which remains under investigation.